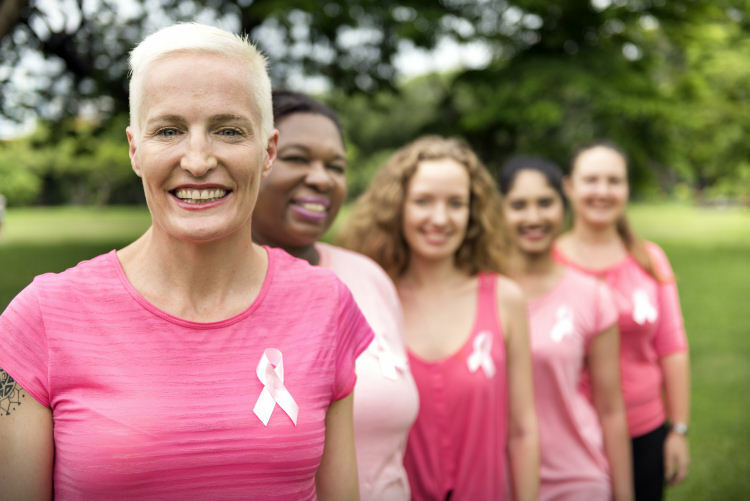 At the time of initial diagnosis, most patients with breast cancer show no signs that their cancer has spread elsewhere in the body. Yet, up to 30 percent of patients will ultimately experience metastasis, with breast cancer taking root and growing at other sites in the body, sometimes months, years or even decades later. Sandra McAllister, PhD, of the Division of Hematology at Brigham and Women’s Hospital, and her colleagues are working to understand what happens when cancer cells escape from the primary tumor, and what, if anything, can be done to intervene before cancer recurs. In a paper published online in Nature Cell Biology on Aug. 27, McAllister and colleagues reveal an unlikely protector against metastatic growth: inflammation. McAllister and lead author Zafira Castano, PhD, an instructor in the McAllister lab, and colleagues carried out their study in mouse models of metastatic breast cancer and confirmed findings using samples from patients. In the mouse model, the researchers observed that primary tumors triggered an inflammatory reaction that kept tumor cells in the lung from growing. The team reports that levels of interleukin-1β (IL-1β) were especially high in the lungs of mice. When IL-1β was suppressed, the metastases in the lungs grew. When examining samples from patients with breast cancer, the team found that patients who had high levels of IL-1β had lower risk of metastatic tumors. Inhibitors of IL-1β, such as the drug canakinumab, are currently being tested in clinical trials for the treatment of numerous diseases, including forms of cancer. “An important implication of our study is that therapies that may prevent the growth of primary tumors may not confer the same beneficial effects for preventing the growth of metastases and further research is required,” said McAllister. While inflammation appeared to prevent the growth of metastatic cancer, it did not appear to kill the cancer cells that had spread zafira. “This new research has yielded that rare thing: A clue from the cancer itself about how we can fight its spread,” said Christine Chaffer of the Garvan Institute for Medical Research, who co-led the study with McAllister. In a separate paper, published recently in Cancer Research, McAllister and colleagues, with lead author Jessalyn Ubellacker, PhD, a former graduate student in the McAllister lab, uncovered a connection between metastasis and a common drug used to treat osteoporosis. In that study, the team found that bisphosphonates could affect bone marrow cells in a way that stopped the growth of breast cancer cells that had spread to the bones. However, they also found evidence that a specific protein – granulocyte-colony stimulating factor (G-CSF) – can help cancer cells overcome this effect. Women with high levels of G-CSF did worse on bisphosphonates than women with low levels of G-CSF. Both studies may help inform clinical trial design and the selection of patients most likely to benefit from drugs such as IL-1β inhibitors and bisphosphonates. Funding for this work was provided by the International Mentoring Foundation for the Advancement of Higher Education; Center for Stem Cell Bioinformatics at the Harvard Stem Cell Institute; Samuel Waxman Cancer Research Foundation, Breast Cancer Research Foundation, and Ludwig Center for Molecular Oncology; Advanced Medical Research Foundation and Nelune Foundation; National Institutes of Health (NCI) RO1 CA166284, Presidential Early Career Award for Scientists and Engineers, American Cancer Society Research Scholar award, and Department of Defense BCMRP Era of Hope Scholar Award W81XWH-14-1-0191.